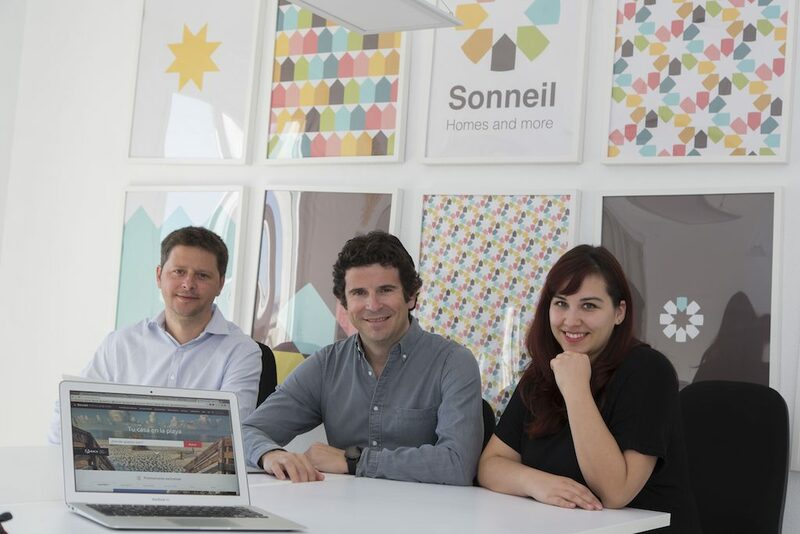 Former directors of BBVA – one of Spain’s biggest banks – and the ex-managing director of Google España, are investing capital and knowhow in Sonneil, an estate agency that specialises in foreign demand. The ex-managing director of BBVA, Angel Cano, together with three others from the management team, and the ex-managing director of Google España, Javier Rodríguez Zapatero, are invested in Sonneil via the Sevenzonic Ventures fund, a company set up a month ago to invest in start-ups and fintech. Costa Blanca based Sonneil was founded by Alfredo Millá with a mission to revolutionise the way homes in Spain are marketed and sold to foreign buyers, with a focus on technology and customer services. Before founding Sonneil, Millá was the managing director of international sales at Solvia, the property arm of Sabadell Bank. Sevenzonic’s bet on the company comes at a time when the Spanish market is taking off and foreigners are showing strong interest in investing in Spain. According to figures from the Registrars Association, property sales to foreigners represent 13.57% of the total. According to Sonneil, this year will see 59,000 sales, 10% more than in 2016 and 228% more than during the worst year of the crisis. These high-profile investors bring capital to the company to grow and meet new challenges, and also knowhow that will give the company a competitive advantage, Millá told the financial daily Expansión. “With this new capital, we’re going to invest around €150,000 to €200,000 in technology, online marketing and in the team,” Millá told Expansión. Specifically, the company is going to concentrate on identifying demand in different countries using geolocation techniques and online marketing segmentation for cost efficiency. The company currently has 200 developments on its books, 6 of them exclusive to Sonneil. They’re in negotiation for a further 6 in coastal areas in Valencia, Alicante, Murcia and the Costa del Sol. They’re also looking at locations in Catalonia and Huelva. Sonneil has a team of 10 people and plans to add 6 more over the next few months. The company, with a start-up capital of half a million euros, expects to end 2017 with a turnover of €500,000 and to triple this figure next year since it’s selling many off-plan properties whose commission will be paid on completion. Sonneil was founded in 2015 by partners from the property, legal, digital marketing and technological sectors. “We realised that the world of technology and marketing had completely changed with the appearance of companies in other sectors such as Airbnb, Destinia and Booking. In the property sector, however, nothing happened for seven years and no company had updated its system of selling to foreigners,” said Millá. He points out that, unlike the traditional way of doing things, where the foreign client has to contact an estate agency in their home country, and then another in Spain to close the sale, Sonneil gets leads from online marketing tools. This removes intermediaries in the country of origin, and reduces the commission paid in international sales by half.